Ultra-premium Masuyama eyepieces were offered briefly in the mid-1980s before going out of production a few years later. Since then, these legendary eyepieces have only been available - fleetingly - on the resale market. Now, after nearly 30 years, Masuyama eyepieces are back in production and updated with modern glass and multi-coating technology. Coveted for their clean, high-contrast views on velvet-black backgrounds, Masuyama eyepieces incorporate a five-element "hybrid Plossl" design. They have much better performance towards the edge of the field and improved color performance compared to Plossls and other competing designs. Masuyama eyepieces achieve high contrast through a much smoother polish than nearly all premium eyepieces and through superior internal baffling in their long bodies. The eyepieces are the signature design of the renowned optician Dr. Masuyama who designed many of the finest Japanese eyepieces of the 1960s and 1970s. Dr. Masuyama even designed the 100 mm focal-length eyepiece used for visual observing at the historic 60" telescope at Mount Wilson Observatory in California. 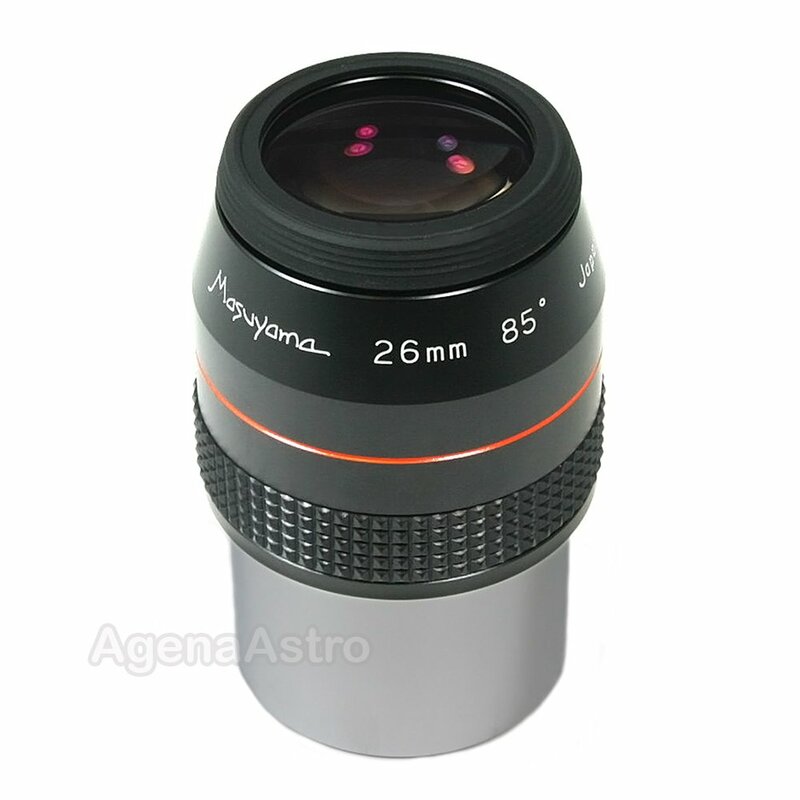 This 26mm focal-length Masuyama eyepiece with 2" barrel makes an ideal match for moderate to long focal ratio telescopes. With an 85-degree apparent field of view, this eyepiece offers superb contrast for observing the Moon, planets, double stars, and deep-sky objects. 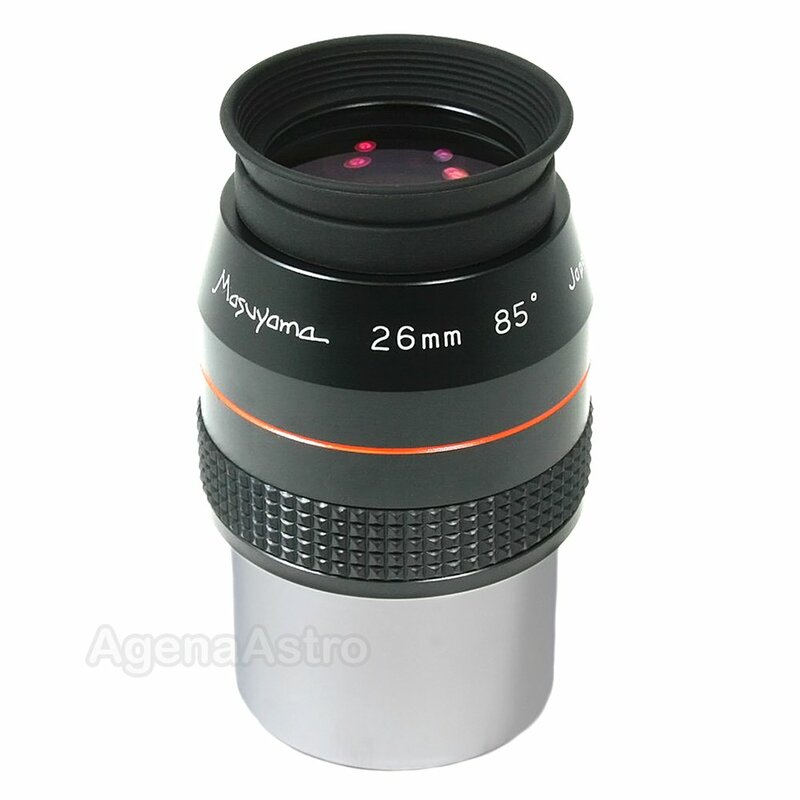 When their rubber grips are removed, a pair of these Masuyama eyepieces can also fit in many 2" binoviewers.